The fourth Formula 1 Grand Prix, to be held in Baku on 26-28 April 2019, attracts greater interest rather than previous ones, Nigar Arpadarai, head of the Marketing and Communications Department of the Baku City Circuit, told Trend. She said that the interest to the Grand Prix of Azerbaijan is growing year after year. Ticket sales to Grand Prix 2018 were 30 percent more compared to the previous race, Arpadarai noted. “In general, ticket sales to foreigners since the time of the first Formula 1 in Baku have so far increased by three percent. In addition, if in 2017 tickets were bought by foreigners from 65 countries, in 2018 this figure reached 78,” said the head of the department. 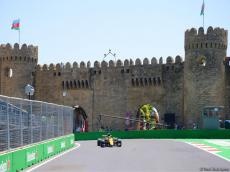 Most of all, tourists from Russia, Great Britain, Ukraine come to Baku for Formula 1. People also come from the Netherlands, Germany, U.S., countries of the Middle East, especially from the United Arab Emirates. Arpadarai noted that as part of the campaign, tickets for both foreign citizens and citizens of Azerbaijan are sold at a discount of 20 percent. "In addition, there is a 25 percent discount for citizens of Azerbaijan," the head of the department added. Arpadarai said that there are again one-day and four-day tickets for sale. All the work in connection with the upcoming Formula 1 in Baku is carried out in accordance with the schedule. Construction of the pit stop building will begin soon in front of the Government House. Next year, construction will begin along the roads of concrete blocks, stands. Arpadarai also said that in the framework of the next Formula 1 a concert of world stars will take place. Ticket sales are expected to be larger than those of previous years, and the geography of foreigners purchasing tickets to be also wider. Early bird 4-day adult ticket prices range from 190 manats ($111) to 660 manats ($387), while 4-day junior tickets range from 130 manats ($76) to 470 manats ($276), he said. “Daily Roaming” tickets will also be offered, and their prices will vary depending on the day of the race weekend, the price of tickets will range from 80 manats to 160 manats ($47-94). Ticket sales for Formula 1 Grand Prix of Azerbaijan have already begun. Azerbaijan first became a host to Formula 1 race back in 2016. The Baku route was designed by Hermann Tilke. The length of the circle was slightly more than 6 km, the movement on it was counterclockwise.The length of the Baku track, where teams competed for the championship, each represented by two drivers, was just over six kilometers. The length of the widest part of the track was 13 meters, and the narrowest width was 7.6 meters between the turns 7 and 8, which are situated along the Icheri Sheher (Old City). The winner of the third Grand Prix held on April 27-29 this year was Lewis Hamilton of the Mercedes team. The 2016 winner was Nico Rosberg. In the second year of the royal race, the winner was French pilot of the Petramina Arden team, Norman Nato. One of the features of the races in Azerbaijan was the organization of a show program with the world stars. In previous years, Formula 1 spectators remember the performances of such million-selling global artists as Chris Brown, Enrique Iglesias, Farrell Williams, Merai Carey, Nicole Scherzinger,Tarkan, Jamiroquai, Christina Aguilera, Dua Lipa, DJ’s Afrojack and Martin Solveig. 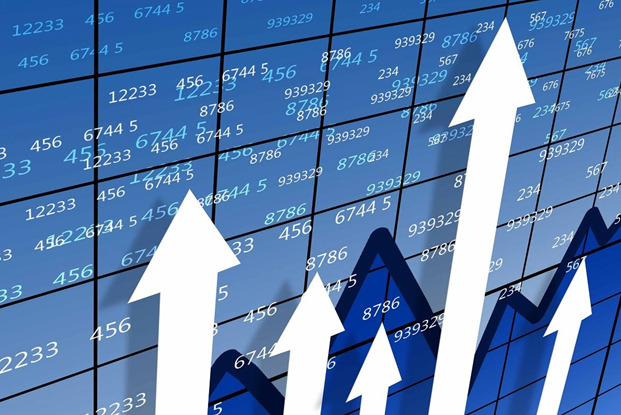 According to the study of PricewaterhouseCoopers (PwC), the Azerbaijani Formula 1 Grand Prix races brought Azerbaijan $ 277.3 million in revenue.